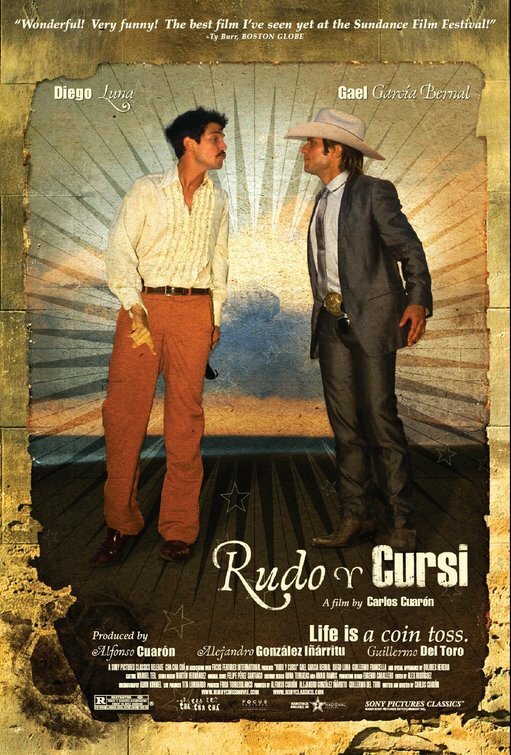 Rudo y Cursi: Rudo and Cursi are the nicknames (Rough and Vulgar) of two brothers from the sticks in Mexico who are discovered by a freelance scout and end up on opposite soccer (excuse me, football) teams. It’s very amusing with lots of laughs. The brothers are played by Diego Luna and Gael Garcia Bernal, from Y tu mamá también, and they don’t kiss this time except in a brotherly way (which is a wise decision since they do play brothers, after all). The two actors seem to be having a whale of a good time playing these roles, as well as just being in a movie together, and their enjoyment is infectious. But in the end, it’s unclear what the audience is supposed to take away with them. The structure, plot outline and character development screams out that the brothers are going to have character arcs that are going to make them realize something about something; but in the end, they don’t seem to realize anything about anything. So when all is said and done, it’s a fun time, but it ends up being little more than a shaggy dog story without a punch line. Written by Carlos (Y tu mamá también) Cuarόn, who also directed. Revanche: As the film Scream pointed out, when someone says “I’ll be right back” in a horror movie, that means they are the next do die. In the same way, in a bank robbery movie when someone says “Nothing can go wrong”, something really, really, really bad is going to happen. Alex works in a whorehouse (but not as a pimp) and falls in love with Tamara, a prostitute and illegal alien. When push comes to shove and they have to run away from the cathouse owner, Alex robs and bank and a policeman unintentionally shoots and kills Tamara. 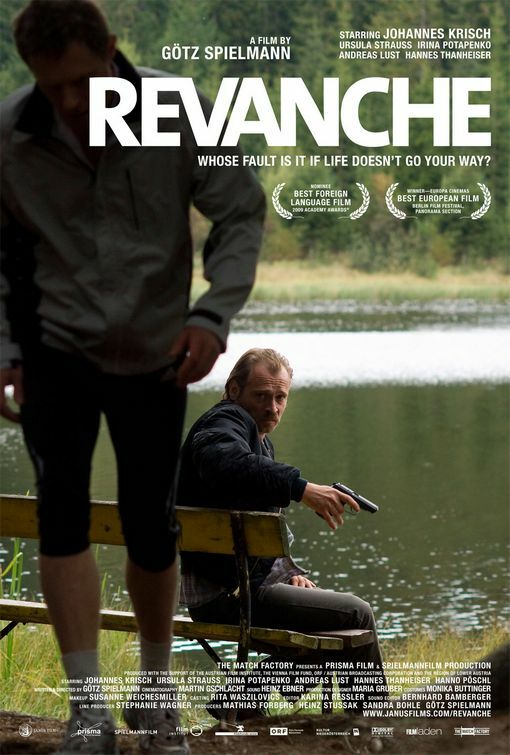 It then becomes a story of a group of people (the bank robber, the policeman who killed his girlfriend, the policeman’s wife), all trying to find meaning and salvation in a world where they’re not sure God exists (no one deals with religion and Christianity in movies as seriously as the worldly, secular Europeans do). A powerful and moving story of redemption with an empathetic screenplay by Gőtz Spielman, who also directed.